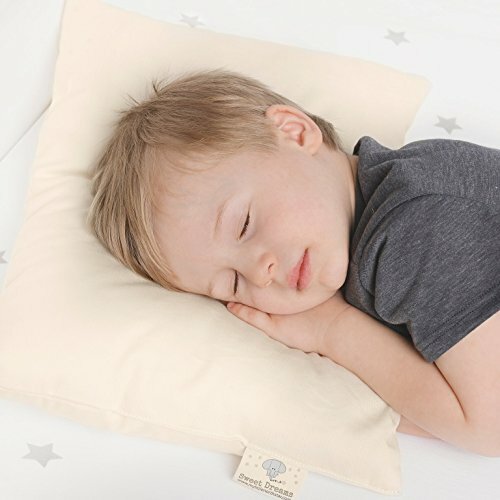 THE BEST TODDLER PILLOW: My Little North Star’s organic toddler pillow is the answer for parents who want the best sleep for their young ones; Our 13×18 baby pillow is perfect for children ages 2 to 5 years old. Soft and supportive and made in America. It makes a perfect gift for Christmas, daycare or even for a new bed. it is machine washable and dryable – it won’t get lumpy thanks to our special poly cluster fiber filling, no pillowcase needed! 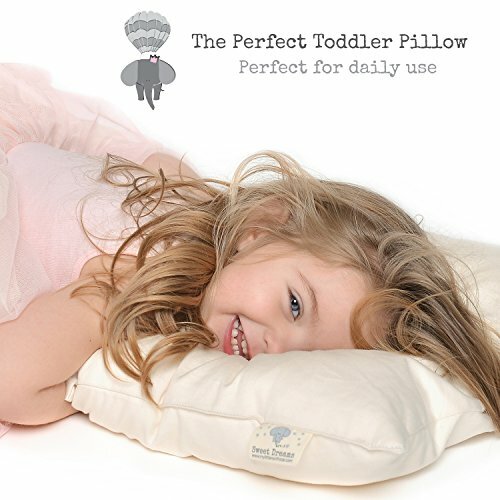 UNLIKE OTHER TODDLER PILLOWS our toddler pillow is made of 100% super-soft certified organic cotton shell and hypoallergenic poly cluster fiber filling; Don’t settle for regular, chemical-treated-cotton pillow for your precious child to sleep on! being truly chemical free with no pesticides, fungicides or herbicides, no mold and mildew resistance chemicals, no flame retardants, or dust-mite repellents, it is breathable, soft, and supportive. Want your toddler to sleep soundly in comfort? 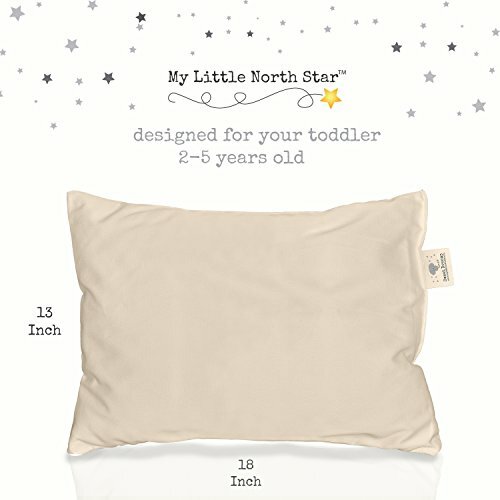 GET MY LITTLE NORTH STAR TODDLER PILLOW! The perfect solution to keeping your young one’s neck, head, & spine aligned while sleeping. 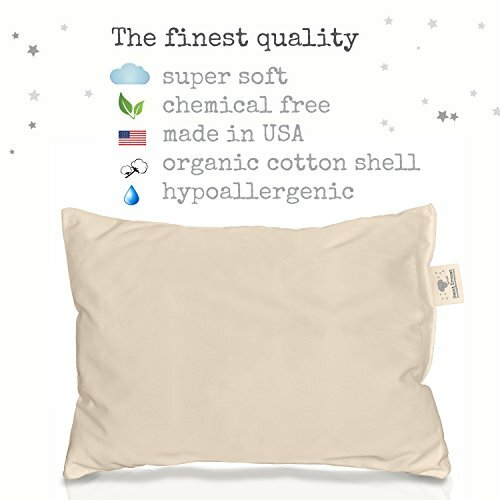 What makes the MY LITTLE NORTH STAR PILLOW special? UNISEX DESIGN – Boy or girl’s beds, cribs, daycare mats, etc. 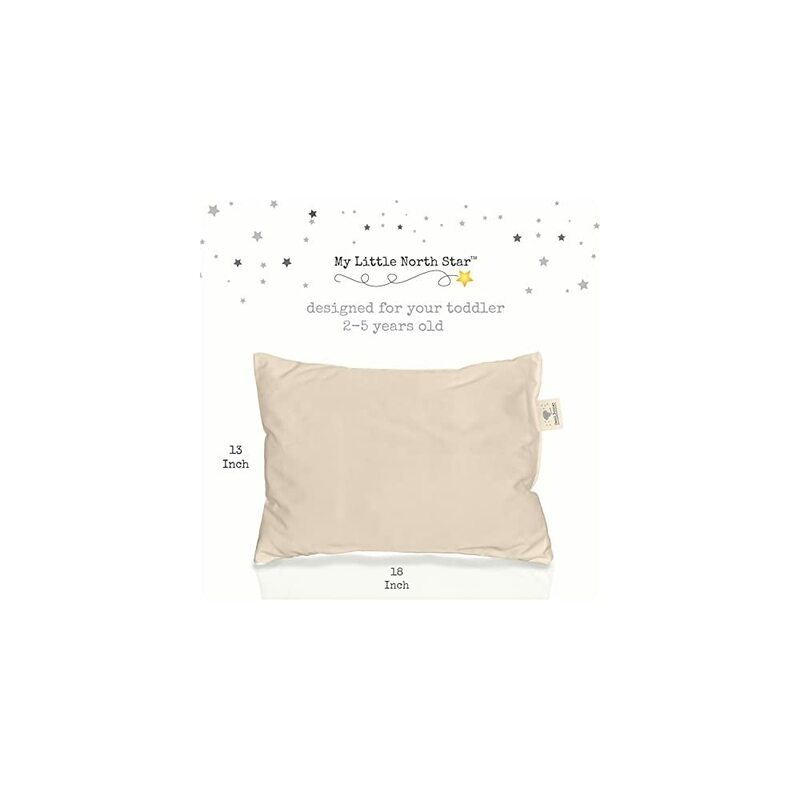 Click the “ADD TO CART” button & order the MY LITTLE NORTH STAR TODDLER PILLOW! Help your toddler sleep like a baby. MY LITTLE NORTH STAR PROMISE: we stand behind our products with great love and care and offers complete customer satisfaction. If for any reason you are not entirely happy, we will replace or return your order, no question asked. 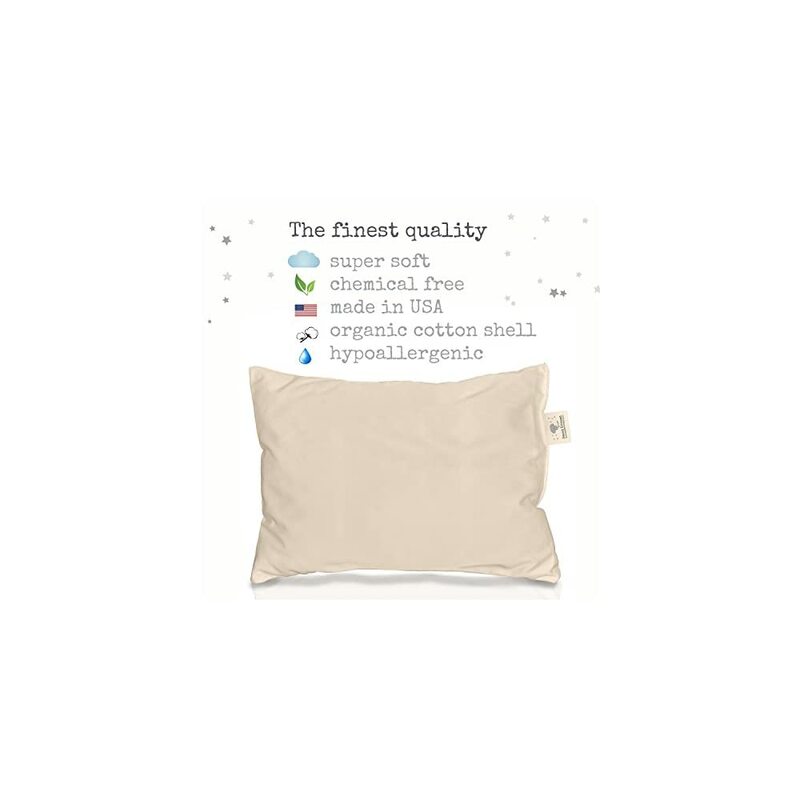 CONTACT US directly, and we will take care of you; BUY WITH CONFIDENCE our organic toddler pillow; it is a chic gift that any parent will appreciate due to its high quality while offering a better night’s rest for your toddler. 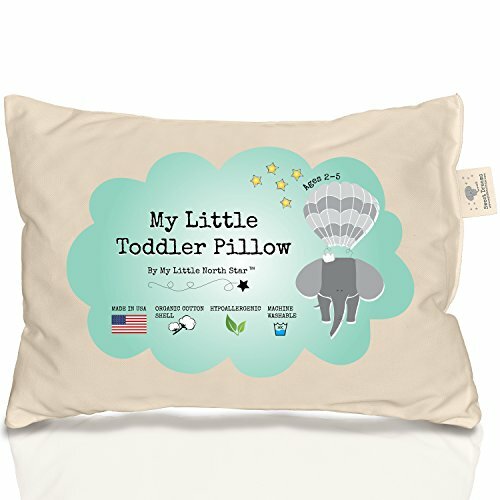 Please be advised that My Little North Star is the only authorized retailer/distributor of My Little North Star’s Organic Toddler Pillow. My Little North Star is not responsible for any loss, defects or damaged product purchased from another retailer/distributor. Nice size for children and made from organic natural cotton. I do not know the reason for calling it a Unisex pillow as I never thought as pillows of being for a particular gender. If it benefits a childs posture it is a good buy. This is very cute I love it!! vamplady24 has just earned 303 MPS points from a SILVER chest!